kenmelken wrote: *La Petite doesn't survive. The survival of the "The River is Small. The Sea is Big." frame makes me very happy! On the topic of Australia being warm, I'd like to point out that Australia has a wide range of latitudes, altitudes, and distances from the coast, so as hot as it can get in many places, is still gets plenty cold in plenty of places too. And we're just heading into winter too... But I don't know anything about surfing how how uggs relate to it. WITH NATHAN FILLION AND FEATURING SUMMER GLAU AS "THE RIVER1"
NO ANIMALS WERE HARMED DURING THE FILMING OF THIS EPISODE. BUT THE MOLPYSNAKES GOT HUNGRY TRIED TO EAT THE MOLPYSQUIRREL. Who knows how to write up a Kickstarter??????????????? I was going to suggest a similar fix but fortunately I read further and saw that you'd taken care of it. I learned it in reverse order, as King Philip Crossed Over Five Gentle Streams. And now I've finished catching up: weird new plant! Last edited by Eternal Density on Wed May 29, 2013 12:13 am UTC, edited 3 times in total. The traveller's palm is another distinctly Madagascan plant which looks similar to what we have in the OTC, but is a little bigger and has significantly larger leaves. Not saying it's definitely one of those two, but plants that look like the one M&C just encountered do grow in Madagascar and similar climates. So Randall's being consistent with his choice of biome when selecting plant life. ETA that I surprised myself how quickly I managed to research that. Brain extensions are handy. It's actually pretty easy. There are two things you do with it.... operations with one number (what is the tangent of 43 degrees?, what is the cube of 6.34?) For that, you just move the cursor to the "question" number on one scale, and it points to the "answer" number on a different scale. There are separate scales for common "questions". How much is (7+7) + (7+7+7)? Don't do the actual arithmetic, but can you tell that it has to be the same as (7+7+7+7+7) ? All real numbers can be expressed as seven to some power! (That power doesn't have to be an integer - there are a lot of numbers between seven squared and seven cubed, and they can be expressed as seven raised to some power between two and three. This number is called the logarithm. Any number can be used as the base; we don't have to use seven. You just have to be consistent (because the logarithms are different for different bases). 10 is a common base to use. Last edited by ucim on Wed May 29, 2013 2:30 am UTC, edited 6 times in total. lmjb1964 wrote: <snip> You graduated from high school just a few years before me, as it turns out. And my physics class was the first one to use calculators. They were certainly in common usage by then, of course, but our teacher thought the students should learn how to use slide rules. Kind of sorry I missed it, actually. I would have liked to learn how to use a slide rule. See you again in 35 newpix. Thanks. It doesn't exactly explain how to use it, but it's cool to play with. edit: My avatar doesn't know which way to turn. If it gets too irritating, pm me and I'll shut it down. Last edited by charlie_grumbles on Wed May 29, 2013 1:05 am UTC, edited 2 times in total. Probably a Java applet. The first site I sent (with the slide rule) isn't, apparently, since I get no such warning there. So use that slide rule with this explanation, perhaps. Alas, Java used to be safe for this sort of thing. Now you need a damn condom for everything. Last edited by charlie_grumbles on Wed May 29, 2013 12:35 am UTC, edited 1 time in total. lmjb1964 wrote: And I vote for calling the fruit on the vines grapeberries. Or berrygrapes. How about braperries. It was a braperry vine? Since the molpies like them, they're obviously molberries. Here we go 'round the molberry bush! 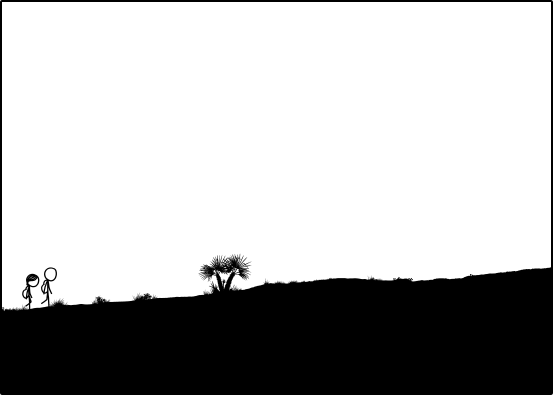 Ace wrote: OTCninja: Ooh, are those Baobabs? ETA: Madaninja'd! But posting anyhow for the link. slinches wrote: Looks like some sort of palm to me, or a variety of yucca. 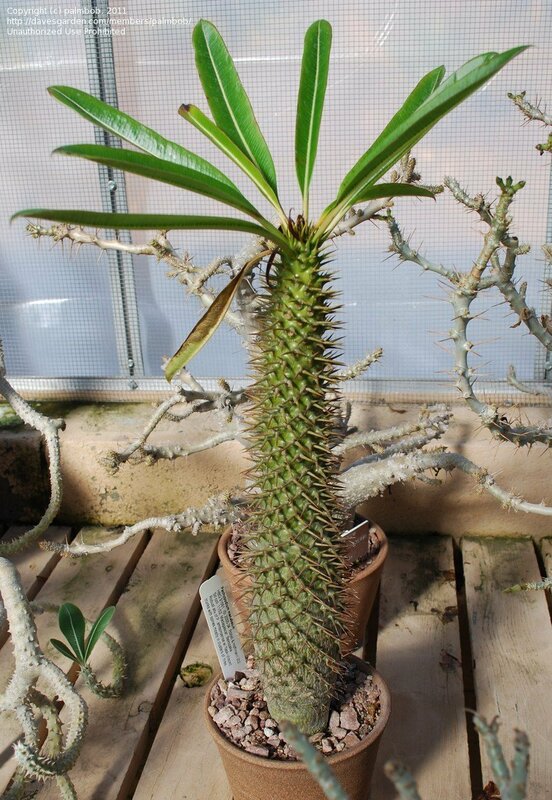 So if we have baobab and pachypodium, I believe we have another significant piece of information. We should be looking for things with funny names! 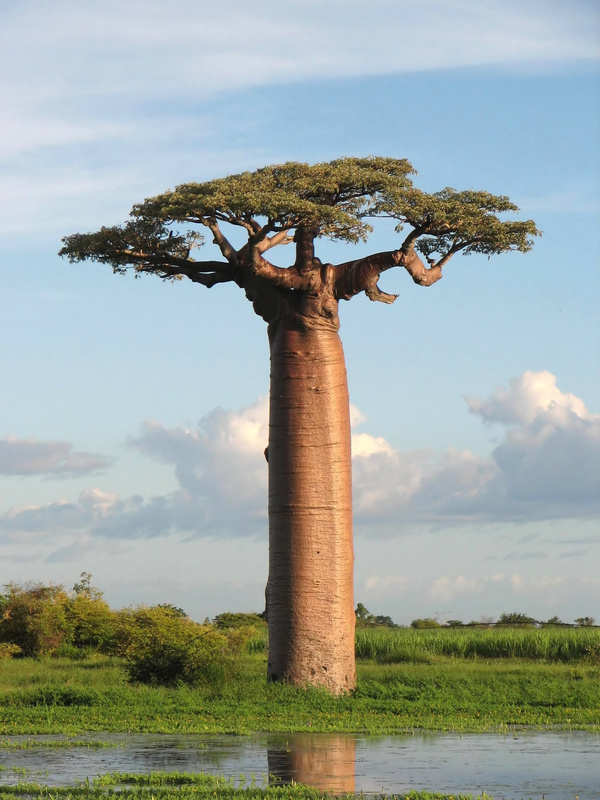 Pretty close to our tree, and..."The tapia tree is endemic to Madagascar and produces edible fruit." The fruit is pictured here. The squirpy is still a problem, but the mouse lemur is a not completely impossible candidate. So, what do all y'all think? Greetings, Blitzers! I have come here from your future bearing a message for rakhal. Rakhal, an OTTer from the future, Sustainabilizer, has created a hatted avatar for you, if you'd like to use it. To view, just use this time portal. And Randallspeed on your blitz to you and any other blitzers out there! Send reports if you can, we love to read them. Farewell! Last edited by lmjb1964 on Tue Jan 12, 2016 6:38 pm UTC, edited 1 time in total. The tapia does indeed look like it could be our (mid-sized) tree. Fits better than an acacia does. EDIT because apparently I'm scrollbar-blind (my response was inside the quote at first). Last edited by HAL9000 on Wed May 29, 2013 12:44 am UTC, edited 2 times in total. AnotherKevin wrote: Since the molpies like them, they're obviously molberries. Here we go 'round the molberry bush! Works for me. Does it get the HAL9000 seal of approval? Good catch. HAL? I think you were about to say something? I think: Wow! Great research! I've had in my mind that the land of Time is a fictional place based on Madagascar with everyday elements from familiar European/Western culture (sandcastles with crenelated parapets, squirrels, etc.). I think that's still where I am. I could forgive the very European sand castles, but the squirrels squirpies look just a little too much like squirrels. Last edited by mathrec on Wed May 29, 2013 12:52 am UTC, edited 1 time in total. I accept that. I also would accept post apocalyptic Madagascar, which seems very possible to me. Edit: indeed, the Biology Stack Exchange hasn't been much help (yet). It doesn't seem to be a very popular Stack Exchange – 0nly 2401 questions, where Stack Overflow has 5,107,779 – so that doesn't help. It could be, but I'm not entirely convinced. The proportions seem very different. That could be this specific sample, of course, but I haven't seen any other examples that really look like the OTC version. lmjb1964 wrote: The squirpy is still a problem, but the mouse lemur is a not completely impossible candidate. Well, I definitely think that we absolutely must get a Gecoptor in the OTC soon. Last edited by mscha on Wed May 29, 2013 1:02 am UTC, edited 1 time in total. What about Nesomys rufus, aka Red Forest Rat? I apparently am blind to scrollbars. I accidentally placed my response in the middle of the post I was quoting, it's been edited properly now. but the trunk is wrong. And our squirpy does look an awful lot like a squirrel. If it is some post-apocalyptic scenario, maybe it's in some future where squirrels were introduced to Madagascar and overran it. Or not. Edit again because in my excitement I misspelled "Squirrel." Last edited by lmjb1964 on Wed May 29, 2013 1:11 am UTC, edited 1 time in total. Hm. But one does not go round a molberry vine. That's true. M&C have only ever been on the opposite side of the fence/trellis as us. mathrec wrote: I've had in my mind that the land of Time is a fictional place based on Madagascar with everyday elements from familiar European/Western culture (sandcastles with crenelated parapets, squirrels, etc.). I think that's still where I am. I could forgive the very European sand castles, but the squirrels squirpies look just a little too much like squirrels. Perhaps a future MadagascarMoldagasar, where squirpies are an invasive import, like rabbits in Australia? Cueball and Megan obviously share a quasi-European culture, with the merlons they so carefully add to their battlements. Perhaps they're descended from colonists who brought squirpies and cultivated molberries (or whatever they're called...)? Molberries - of course! Of course they're molberries! And I think the tapia tree looks like a good candidate, lmjb1964. lmjb1964 wrote: ...in my excitement I misspelled "Squirrel." Don't worry. skirl skwirl squirl squirrilsquarel squirrel is a very difficult to spell word. Something I wrote once had an entire subplot stem from my inability to spell squirrel. We go down the line of the molberry vine! Apparently, this is a molberry. What about those who want to know what you're talking about without clicking the link? It's a Father Ted reference. I could explain, but Wikipedia is always better than me. I made an account just to say, "HIYA!" Kieryn wrote: It's a Father Ted reference. I could explain, but Wikipedia is always better than me. They've got the bush surrounded! You mean the bush was ambushed? Ooh, interesting: Megan is IN FRONT OF the spinybush! And I Mopey Molpy Mome'd myself. Edit: AND I reached 600. Oh mustard. Last edited by BlitzGirl on Wed May 29, 2013 2:13 am UTC, edited 1 time in total. It's actually a ham bush. So they ambushed the hambush. BlitzGirl wrote: Ooh, interesting: Megan is IN FRONT OF the spinybush!